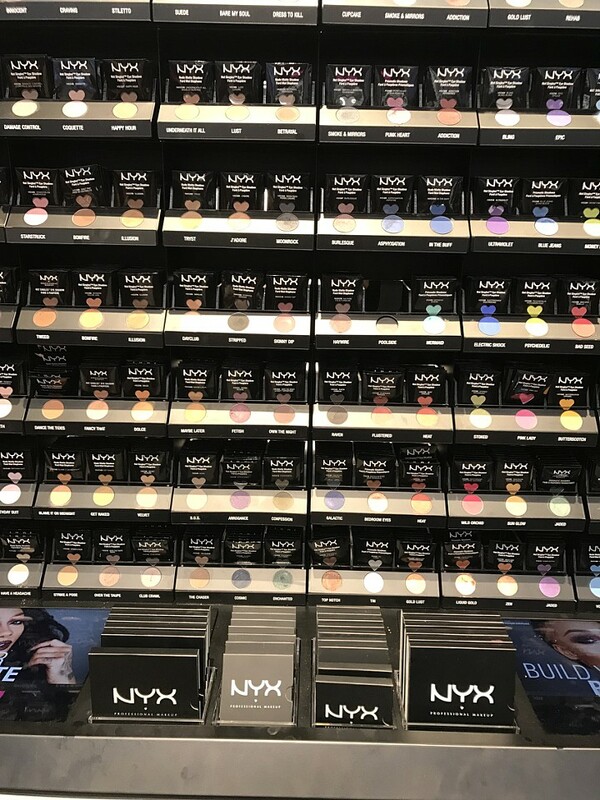 A NYX free standing store has finally landed in the Chicago area and I could not be happier. 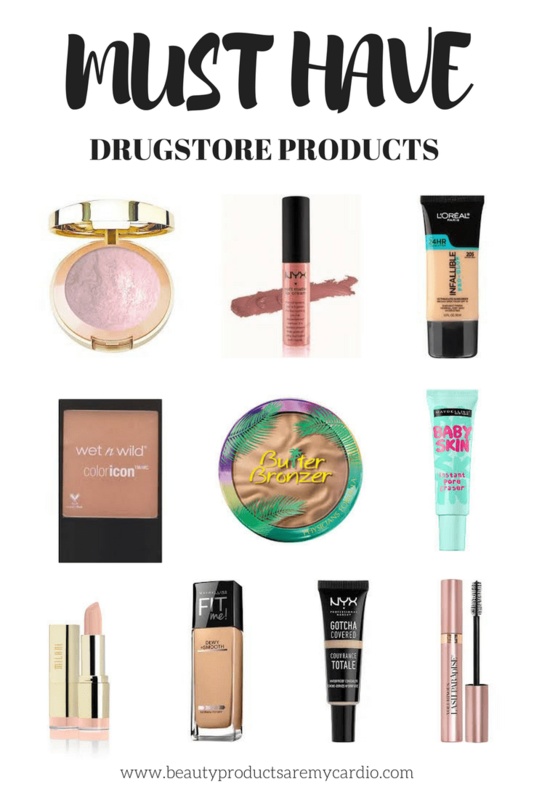 NYX Cosmetics offers some of the best quality at the drugstore with affordable price tags (insert my fav $6 concealer here lol). You may be thinking, what makes the free standing store so different from the massive selections available at Ulta?!!?? 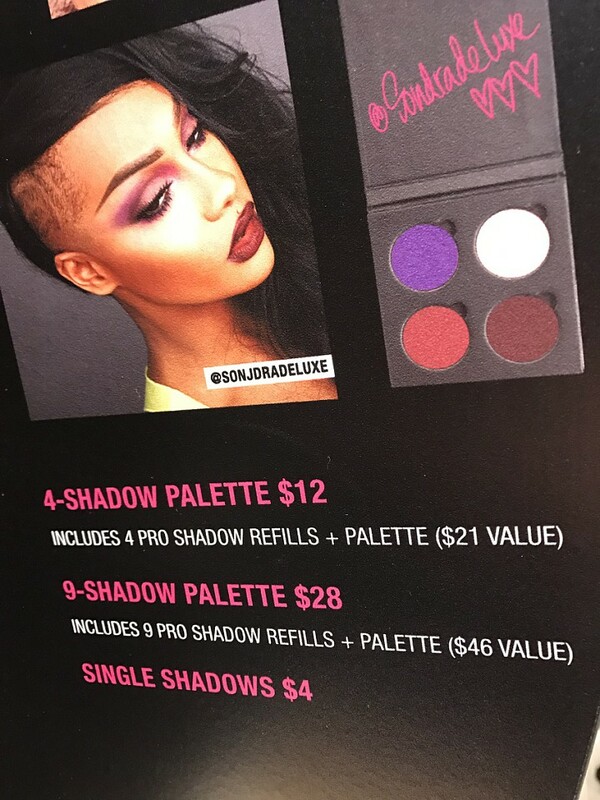 Trust me I thought the same things until I had the pleasure to attend the NYX Store Opening Preview Event. It is not a very large store, maybe a bit smaller than your average free standing MAC store. 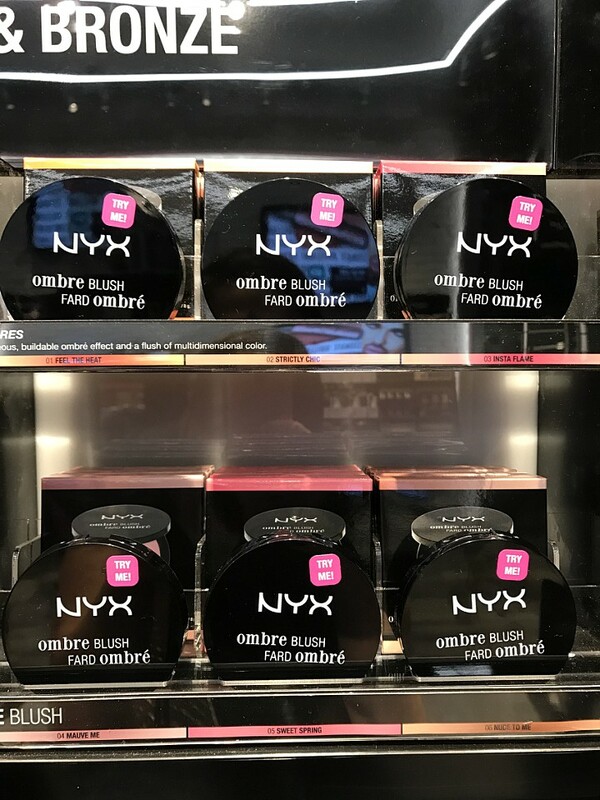 However I will say the amount of products offered by NYX Cosmetics is anything short of amazing along with the features the store offers. 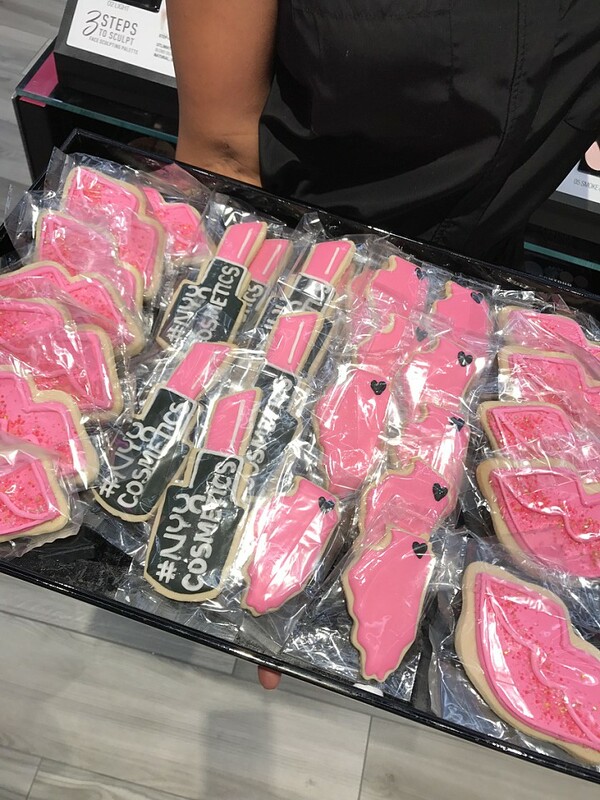 We are use to seeing the products offered at Ulta or even Walgreen’s but once you are inside a NYX Store you are taken back. The store is located inside the Woodfield Mall right outside MACY’s on the lower level. 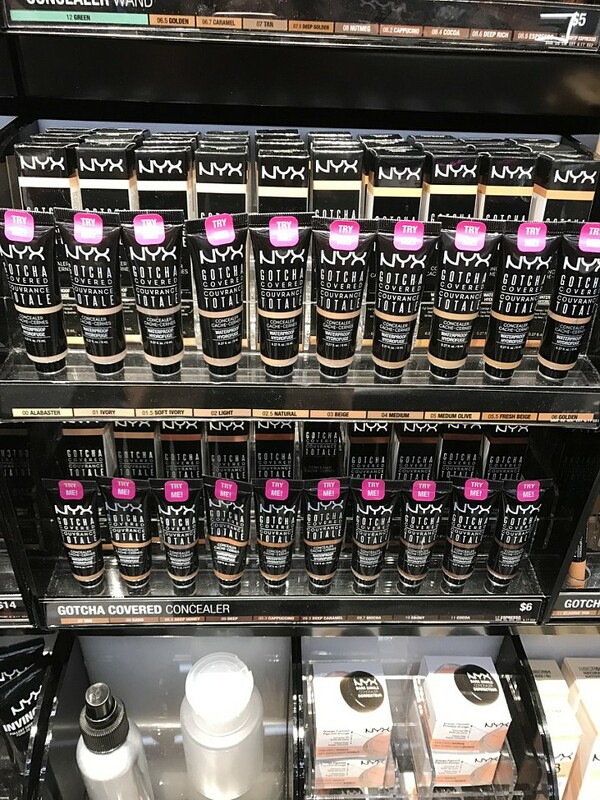 The walls are covered from top to bottom with products with NYX colors: black, white and hot pink! Its my dream lol When you walk in you see the Beauty Bar where you can swatch, watch and play! The NYX Makeup Artists are on hand to answer any questions and best part?!! They offer one on one lessons with a NYX Makeup Artist where you can learn pro tips and artistry tricks! How fun is that!!? 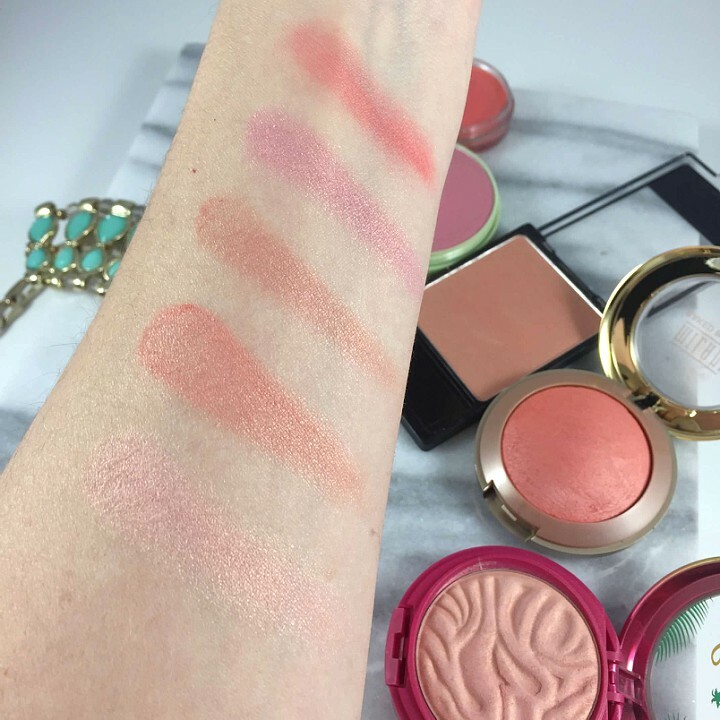 TESTERS: When it comes to makeup we all want to test it before we buy it. Whether you want to see or feel the product or if you want to just see the shade on your lips the amount of testers available are endless. 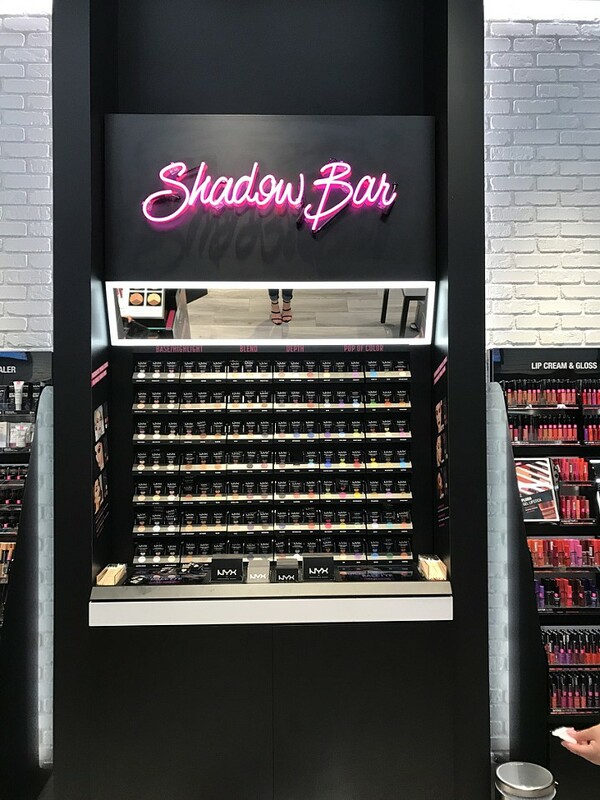 SHADOW & LIP BAR: These walls will just take your breath away with the options of lip products and single eye shadows. The Eye Shadow Bar offers single pans to fill in either a 4 pan palette or a 9 pan palette. With these prices you can not go wrong! 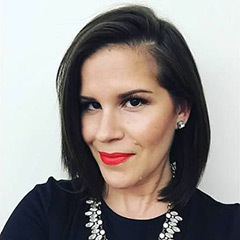 TAKE HOME FOUNDATION SAMPLE: I think I was in such awe of all the beauty around me I totally forgot to do this!!! If you have been with me for a while you know I am not huge on Matte Foundation but for $7.50 I was curious and plus a girl can always just add in some liquid highlighter. 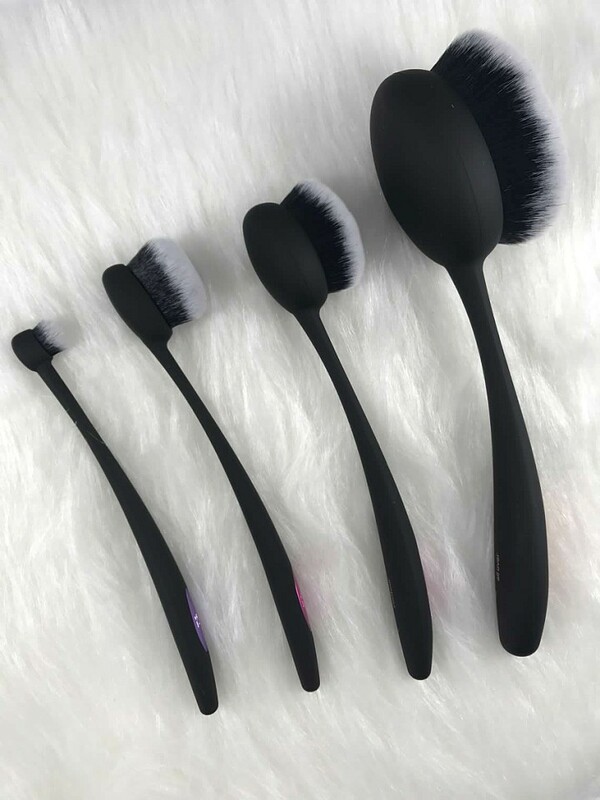 This feature is something we only see at High End makeup stores and counters so in my opinion this is a game changer for affordable beauty. PRODUCT SCANNERS: I absolutely loved this feature and had some much fun. If you follow me on Instagram, I did a full preview of this feature on my stories. 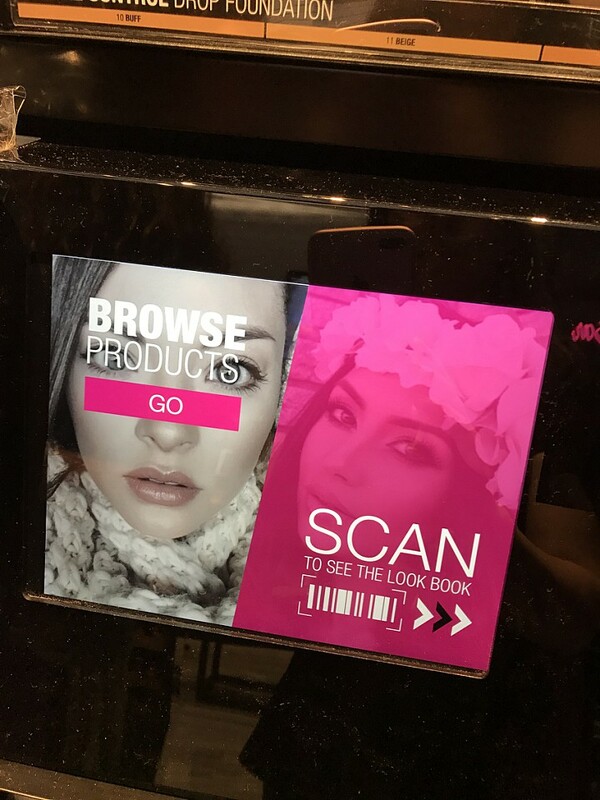 You take a product, scan it and all the product details will show up. 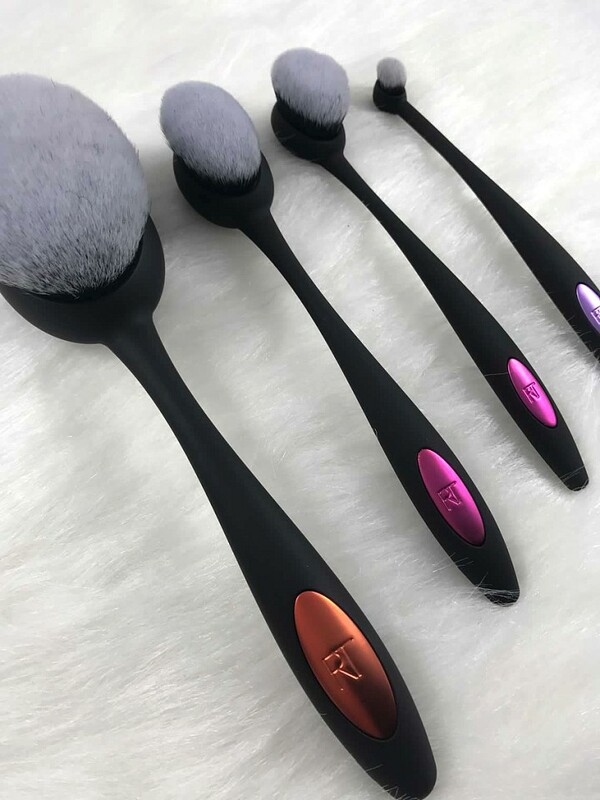 What the product does, how many shades are offered and customer reviews. 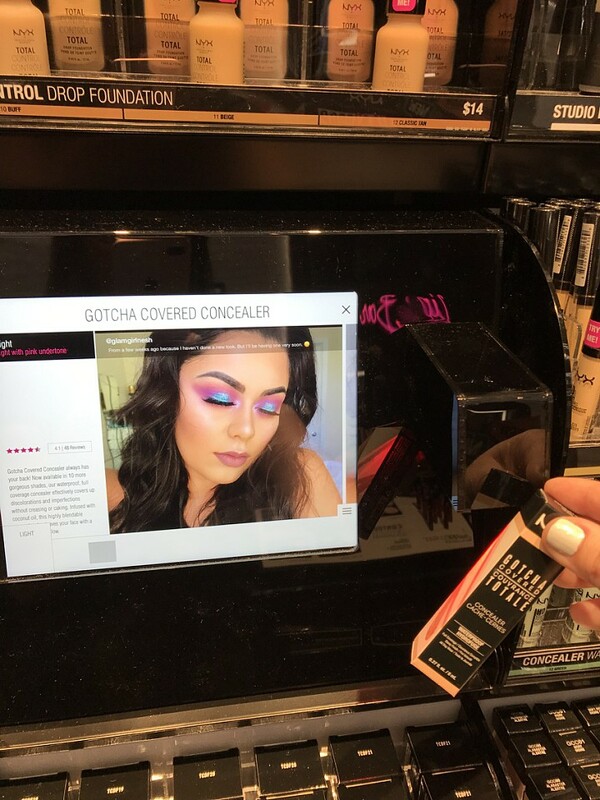 You also get to see any social media pictures that have been tagged with that product. I would highly recommend a visit to not only this store if you are in the Chicago area but if you have a free standing NYX Store near you! With endless amounts of affordable products and in-store features you are sure not to leave empty handed, I know I didn’t! What are some of your must have NYX Products? 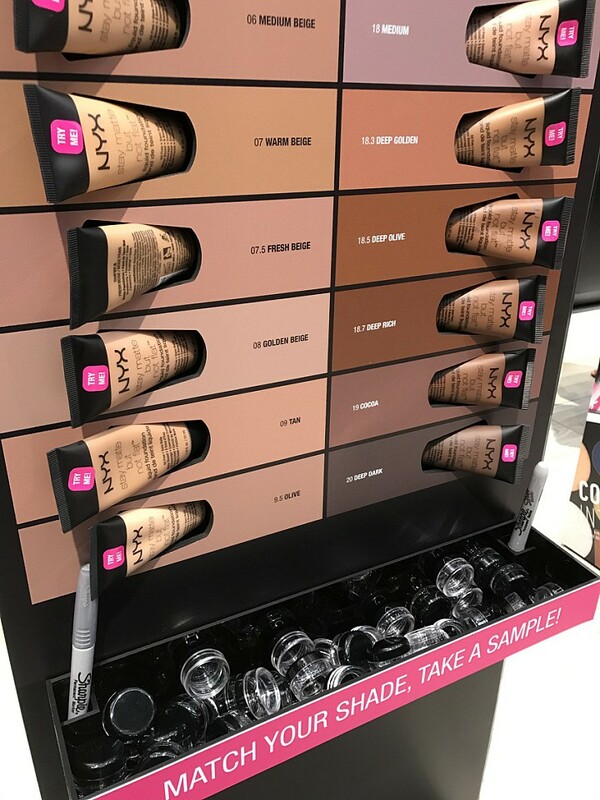 Have you been to a free standing NYX Store? Would love to hear your thoughts and experience below.